Project: Wedding Invitations, Order of Service Sheets, Menu, Place Cards and Thank You Postcards. 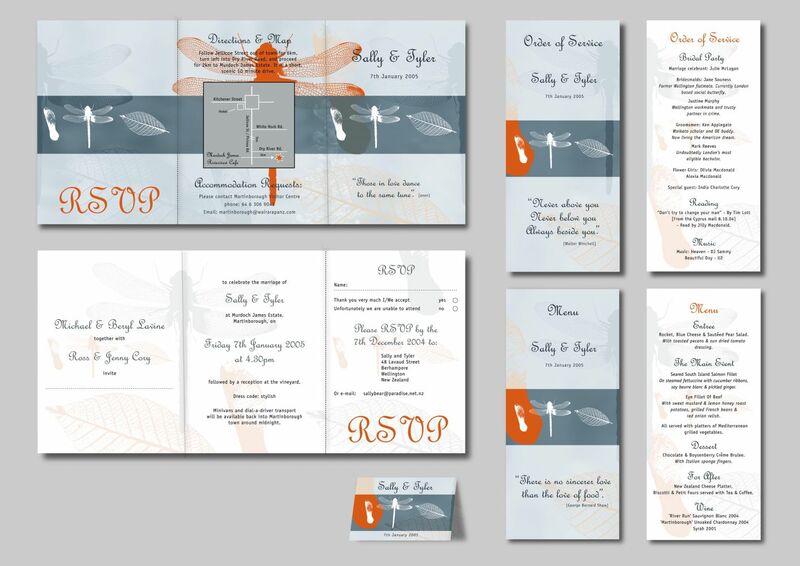 Brief: The wedding theme was a garden wedding, the weddings colour themes were pale blue-grey and a brick orange. Solution: A beautiful overlay pattern was created with delicate silhouettes of three things found in a garden, a dragonfly, a leaf, a pine seed. “Everyone absolutely loved our stunning wedding stationery… Thank you so much for all the time and love you put into it”.